The Consumer Financial Protection Bureau highlighted the hefty revenue as part of its mission to rein in the often excessively high fees imposed on bank customers. According to the CFPB, the 594 banks subject to the new reporting requirement the entire year, on average, received 8% of their revenue from overdraft fees. In all, the CFPB found that 60 banks derived a significantly higher portion of their overall recurring earnings from consumer overdraft and NSF fees than their peer institutions. Additionally, the fees represented 65.3% of all reported consumer deposit account fee revenues. The variations in how much banks earn from overdraft programs – 5.3% to 19.8% of revenue – are due to a number of factors including bank size and the contribution from other bank business, meaning larger banks pull in more overdraft fee revenue. In fact, the CFPB snapshot comes just a month after an analysis by SNL Financial and CNN that found three banks — JPMorgan Chase, Bank of America, and Wells Fargo — collected $6 billion in ATM and overdraft fees last year. The new fee revenue information is beginning to help us understand the magnitude and diversity of banks’ overdraft programs, the CFPB said. Under federal law, banks are required to get a customer’s approval to process debit and ATM transaction that exceed the amount of funds currently available in an account. 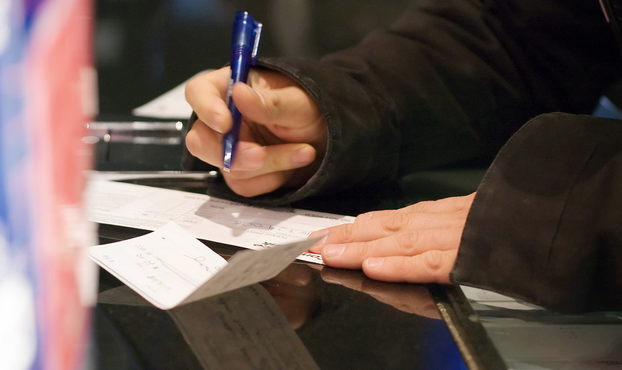 If a customer doesn’t opt-in to the overdraft program their transaction is simply declined. While that requirement has been in the books since 2010, a Pew Charitable Trusts report and video released earlier this year found that many account holders were unaware of the opt-in rule and several were never given the option. • Don’t “opt-in” to debit card-based overdraft: your bank or credit union can’t charge you a fee for an overdraft with your debit card or at an ATM unless you “opt-in” to overdraft coverage for these transactions. • Link your checking account to a savings or money market account at your bank or credit union: if you run out of money in your checking account, the bank will pull money from the account you’ve linked it to when needed to cover new transactions. Note that many institutions charge fees for sweeping funds from a linked account but those fees are generally lower than per item fees for overdrafts or NSFs. • Track your balance as carefully as you can, and if your bank or credit union offers them, sign up for low balance alerts to know when you’re at risk of overdrawing your account. • Switch to a checking or prepaid account that does not authorize overdrafts. Note that some accounts that do not authorize overdrafts still charge NSF fees for returned checks and electronic (ACH) payment attempts.